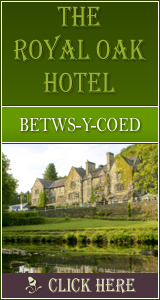 Brynsiencyn: Accommodation, Attractions, Activities, Going Out, Shopping, Things to Do, Places of Interest, Outdoors, Brynsiencyn Holidays, Brynsiencyn Area Location, North Wales. A small village south of Llanfairpwll, Brynsiencyn is home to a number of interesting visitor attractions: a sea zoo, riding centre, animal farm attraction - an ideal short break and family holiday destination. You will have a wonderful day here, our Links list will help you find out what Brynsiencyn is to offer. <?xml:namespace prefix =" st1" ns =" "urn:schemas-microsoft-com:office:smarttags"" />Foel Farm Park is a popular place for children to find out about farm animals. The are tractor rides, animal feeding, a chocolate factory, cafe and shop. Nearby you can go pony trekking at Tal y Foel Riding Stables, visit Anglesey Bird World, or Anglesey Model Village - the choice is yours. Enjoy a wonderful day out at Anglesey's under cover, underwater attraction. Fun on the Farm - family fun for all especially the children. Feed the animals (20p/bag) under cover and outside. Bottle feed newborn lambs in spring and early summer. Location: Off the A4080 - follow the brown signs outside Brynsiencyn. The area around Brynsiencyn has been inhabited for thousands of years, as evidenced by the wealth of historic remains and finds at three major sites. A sizeable earthwork enclosure, Caer Leb , is found just outside Brynsiencyn, on the lane northwest to Bodowyr , where coins and pottery from the third and fourth centuries have been unearthed. Further along this lane is the Bodowyr Burial Chamber , a Neolithic tomb. To the west is another earthwork enclosure, Castell Bryngwyn , where remains have been found from the Neolithic period and the Bronze Age.